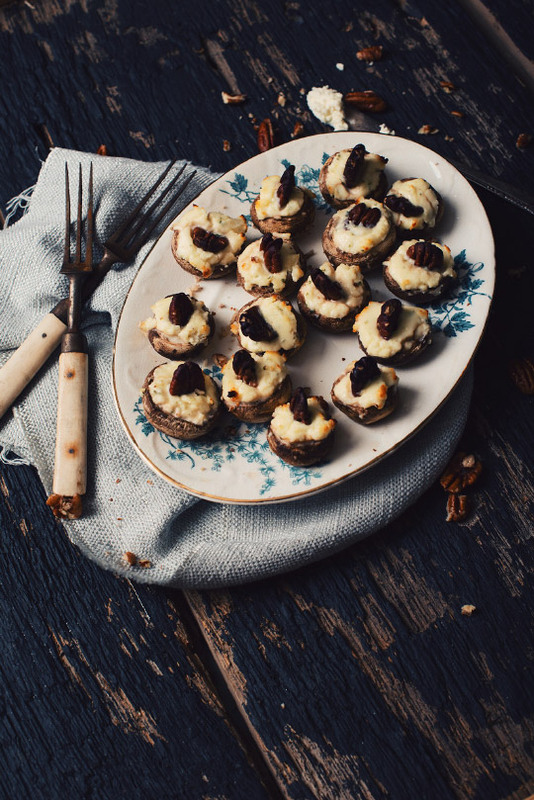 These Boursin stuffed mushrooms with pecans are from my mother in law who saw them in a certain magazine many years ago. All that to say is that they are excellent and your guests will love them! 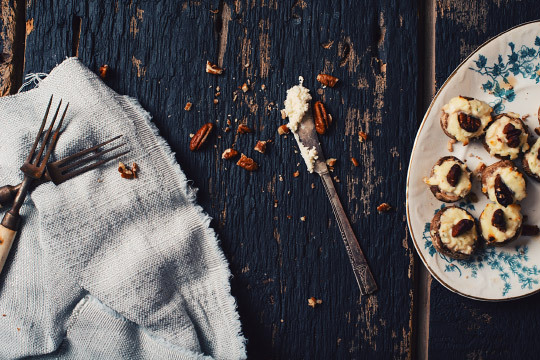 Fill the cavity with Boursin cheese and shove a pecan nut in the middle. Place the mushrooms on a cooking tray and cook in the oven for 15 minute. Remove from the oven and transfer in a plate. Let cool down 2 minutes before eating unless you are a fan of boiling lava! A typical chardonnay from Chili but elegant and well priced. Notes of pinneaple and mango. Showing notes of pear and almond, this Portugal wine will convince you that there are amazing whites from the Iberian Peninsula. The notes of candied fruits, dates, barley sugar and maple in this Double Belgian beer will be the perfect garnish for this recipe with roasted mushrooms, fine herbs cheese and pecans. There is a whole aromatic family here! Round in the palate, this beer will bring a sweet taste to the mushrooms for your guilty pleasure.